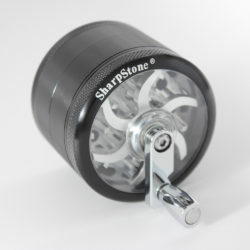 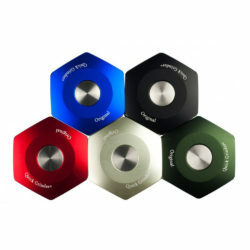 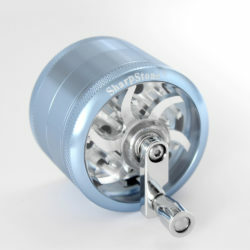 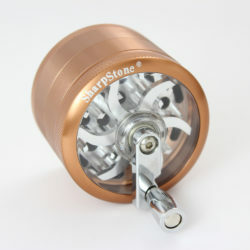 The SharpStone 4-piece grinder has razor sharp Diamond Cutting Blades for extreme efficiency and a stainless-steel pollen screen allows for only the finest pollen to fall to the bottom catch. 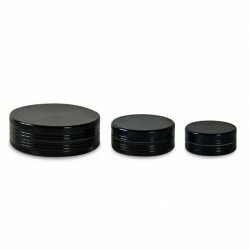 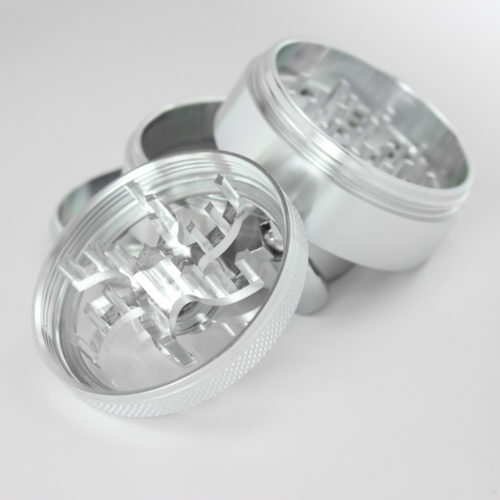 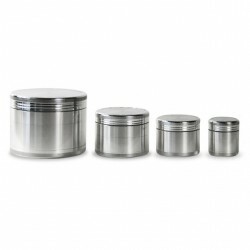 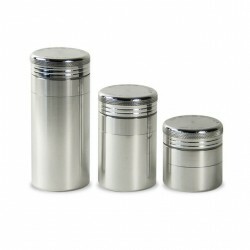 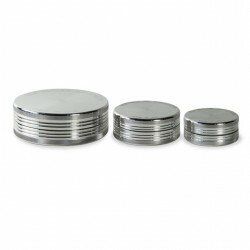 These are the only grinders made by the high-pressure extrusion method – rather than by computer numerically controlled (CNC) tool and cutter grinder. 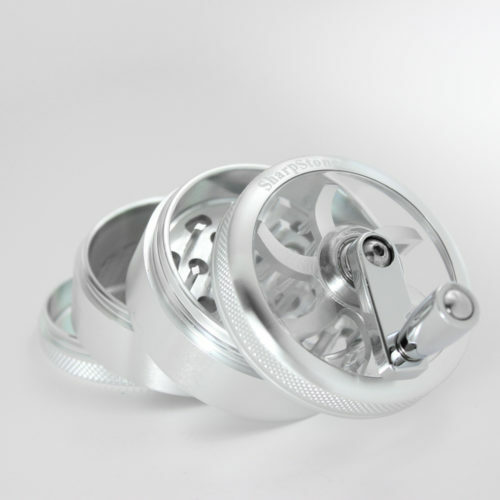 This results in much stronger teeth as there are no stress or fracture lines in the metal. 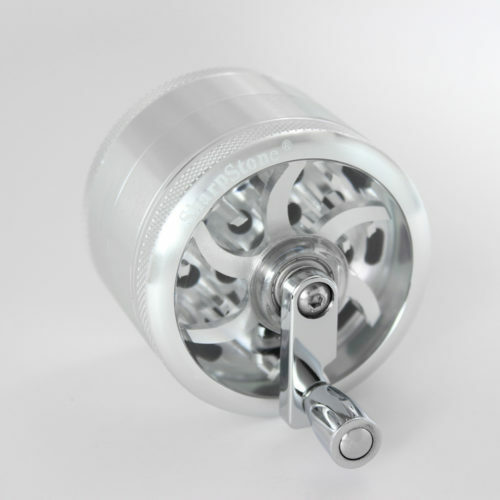 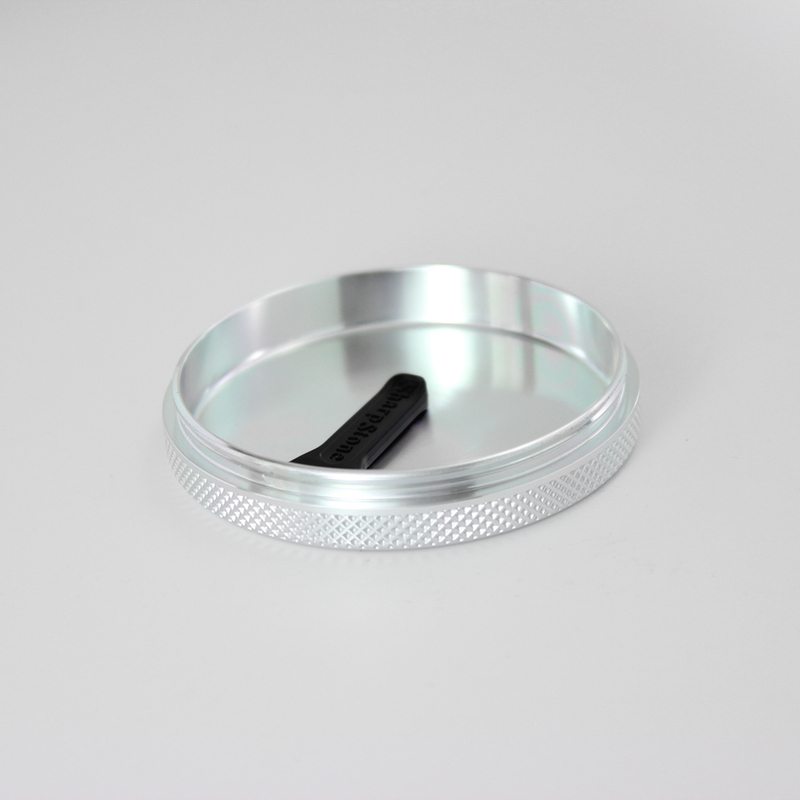 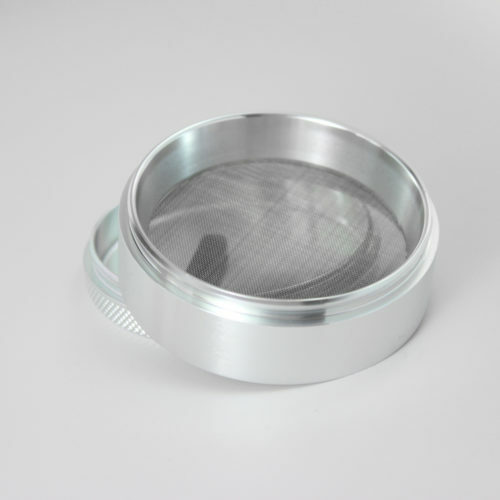 We stock the 2.5″ and 3″ hand crank 4-part grinders. 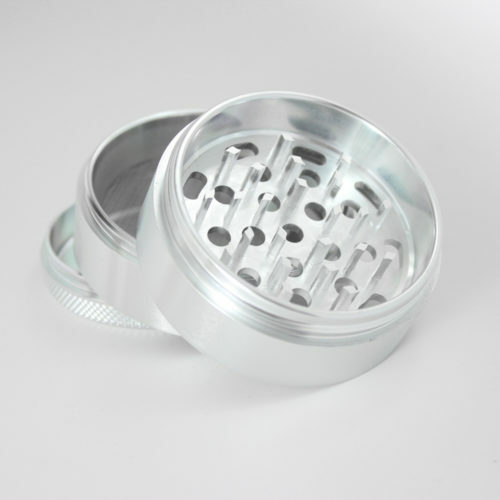 The handles fold flat when not in use and each grinder is supplied with a cotton drawstring bag in which to store it. Made from Aircraft Grade Aluminium Rod using the newest in CNC machining technology.